I do love celebrating my birthday with henna! Each year I think about my intention for my year and blend it into the art. This year I am 44! It feels like a powerful year, a new chapter in our lives - we just moved to Louisville, Colorado and one of our daughters moved into the dorms at CU. Big changes! Each summer I feel like I am blooming in a new way, and this henna design reflects that energy. I'm feeling the watery movement of being in the flow along with the blossoming and unfolding. Photos were taken by my beloved husband Rob, in the studio as well as on a nearby walking path. I am so excited to be adorning women out of our new home studio in Louisville, Colorado! 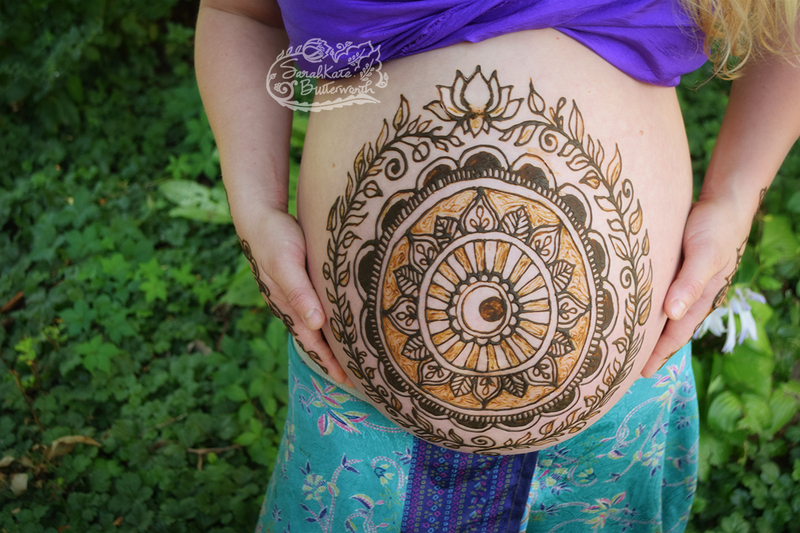 This lovely mama came to sit in my comfy tattoo chair for her maternity session with requests for a moon, lotus and mandala. I love working with the medium of henna, the sweet smell of freshly made paste still delights me after 14 years of working with it! "I couldn't imagine feeling more beautiful and powerful than I did when the amazing SarahKate Butterworth created her magic. 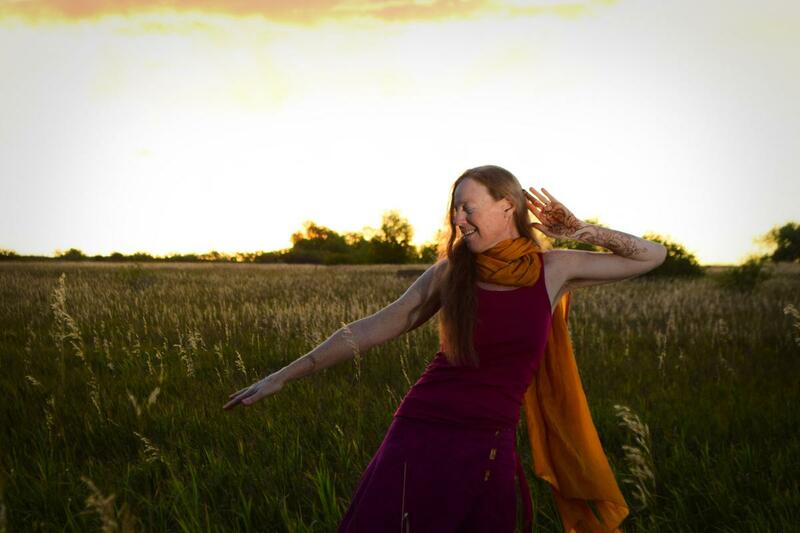 She is a truly divine artist." 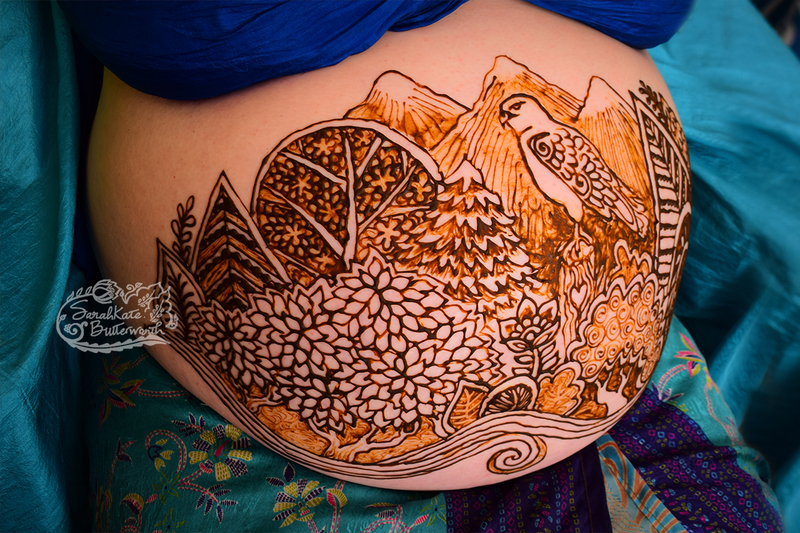 This sweet mama requested hawk and mountains in her henna design, and I love the art that came through. Creating a nature scene with abundant trees and bushes was a blast, and flew out of my henna applicator over the course of the session. The hawk watches peacefully over it all. The older siblings came along for the peak photo shoot and was really wonderful to see how happy they both were for their mama. A couple shots from one of this week's sessions! 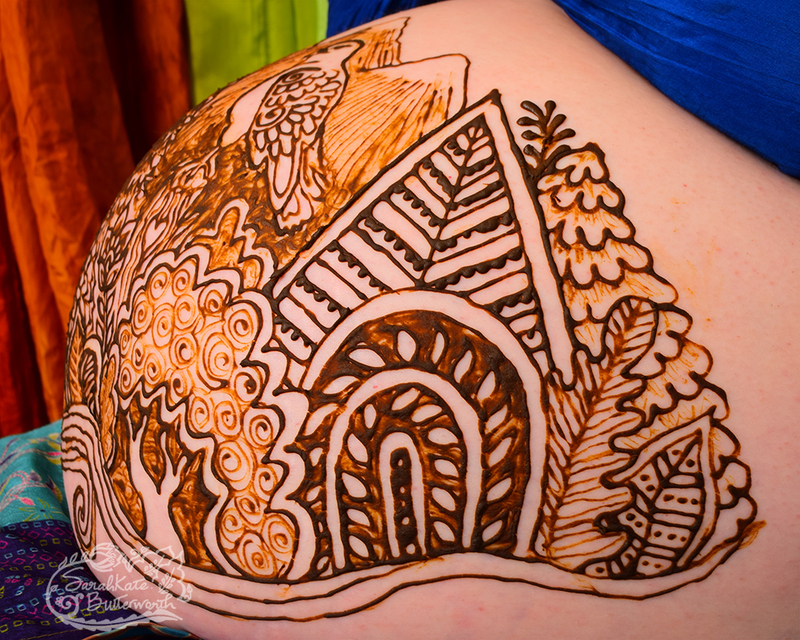 I love creating art that honors women, through pregnancy and the postpartum period. This mama requested moon and stars in her henna design. I am really enjoying creating neck and chest pieces like this! This dear baby girl is wearing a dress from 4 generations. Creating art that empowers women and heightens their awareness of their sacred femininity is a passion of mine! These photos are from this past few days, photographed right after the henna application in my home studio, then later when the henna was peaking in color, on Day 3 (indoors) and Day 5 (outside). This design was inspired by Ginkas, a Russian artist. 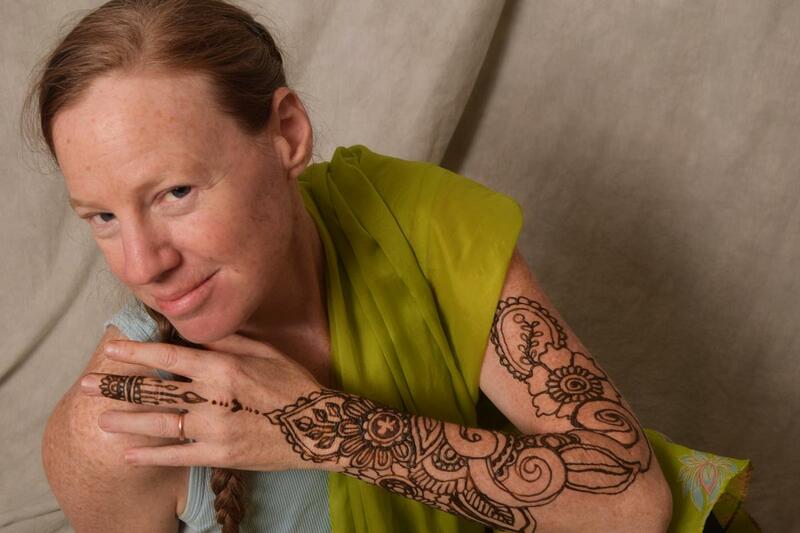 I loved putting my own spin on this new form of henna body art / jewelry. I adorned this lovely young woman for 3 hours to create the art, and I am so pleased with how it came out! I have a private studio in Lafayette, Colorado and I am currently booking appointments for this kind of work this summer. As a women's artist, I really enjoy seeing the incredible variety of beautiful women that live in this area. Over the past 14+ years I have adorned hundreds of mothers and maidens, but it's only been in the past 5 years or so that I began searching for models in their 3rd phase of life, sometimes called Wise Woman years, sometimes Crone. There is a depth in older women that comes from vast experience, and being in the presence of this wisdom is empowering in itself. I love that my art project takes me deeper, to listen to a woman and do my best to create that art that reflects her vision, her feelings. I am fascinated by the women I meet! This model introduced me to a fabulous, relaxing yoga pose that can relieve hot flashes (though I haven't had any yet) and shared all about her journey through menopause and into these wise years. It feels like an honor to get to hear these stories, and as I absorb them I realize what a gift it is, to learn directly in this way, face to face. My art project is all about exploring the Sacred Feminine, in every form it takes. Now that I've adorned over 100 women for this project I realize what a immense realm of study this is... there is so much to see and explore, so many ways to express feminine empowerment. I have dove in, and sister, this ocean is DEEP. I'm not sure how long it will be before I rise out of these welcoming, enlivening waters with my book, Glimpses of the Goddess, but when I do, it will be with a surge of JOY.